With the increased violence in public places sometimes leaving your home, becomes a challenge. 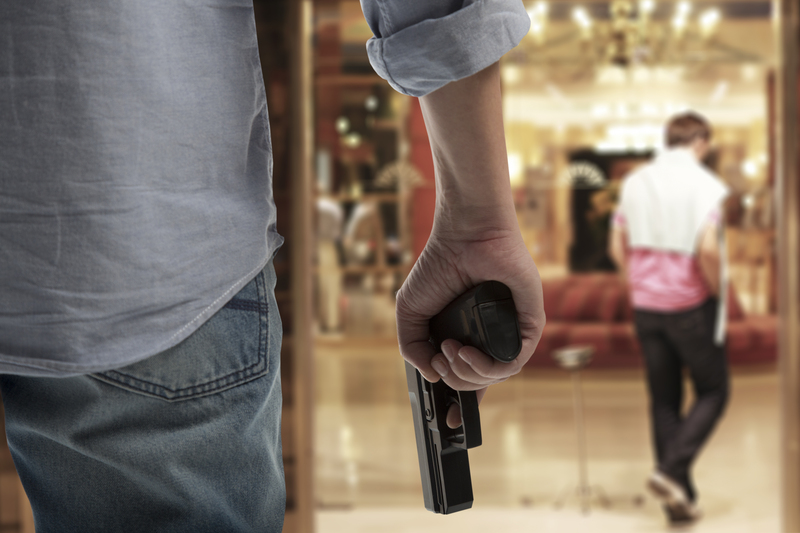 An Active Shooter Incident (ASI) becomes more of a probability with each passing day. Public places, gatherings and events such as rallies are ideal venues for a shooter to target. In most situations, we look to law enforcement to protect us. This may be one situation where law enforcement cannot protect us. The reason being is that law enforcement may not be on the scene. They are, usually, not aware of the problem until the shooter starts shooting. It is difficult to prevent something that is so random. It is also not always possible for law enforcement to be involved. If the law is not broken the police often have no power to help. Prevention must be a compromise of strategy between more than just the police. This is a situation that involves everyone from the public and politicians to law enforcement and psychiatric service providers. The Public: Must support changes to funding that allow psychiatric services to become available. They must also become more aware of what an ASI is and the profiles that surround these events. The Politicians: Must write laws that are in the best interest of the people and that address and support funding for social services, increased law enforcement and that protect people. The Psychiatric Service Providers: Nothing is free. This group needs to focus on how to change the publics perceptive, educate the police in how to deal with ASI situations. An important goal for this group is to seek a more active role in being part of the solution. The Police: Need to be clear that they cannot do this on their own. They need to show where their limitations are and teach the public and politicians how to make changes. The best way to survive a shooter incident is to avoid one altogether. That means avoiding public gatherings that may pose a risk. Concerts, protests, and other events are attractive to shooters. A shooter’s profile is remarkably similar across events. Most are mentally ill. Most choose their victims randomly. Most leave a trail of warning signs. You can take advantage of that profile by avoiding the places where a shooter may decide to create an ASI. If you are involved in a situation that is an ASI then your first response should be to escape. You can improve the chance of survival by remaining near an exit. If you cannot escape, shelter behind objects that are capable of stopping bullets. Cement pillars, walls, parking dividers are all options. If you cannot find shelter and you have no choice but to attack. This, of course, is a last response and should be thought about as carefully as possible, situation permitting. The Department of Homeland Security provides a pocket guide on how to deal with an ASI. In the meantime, prepare yourself before you are involved in an ASI. Think about your surrounds and learn to listen to your instincts. Self-preservation is a powerful force; use it to your advantage. Sacramento Elite Patrol is passionate about keeping our local educational campuses safe and secure. Learn more about our education campus security services.